Standing next to his handpicked FCC chairman Ajit Pai, Trump said that the U.S. must win the race to 5G. The president boasted that by the end of the year, 92 markets in the U.S. will support 5G compared to 48 in South Korea. AT&T already offers mobile 5G by invitation in 19 markets through the use of the Netgear Nighthawk 5G mobile hot spot. Verizon recently flipped the switch on mobile 5G in Chicago and Minneapolis, and the network can be accessed using the Moto Z3 with the 5G Moto Mod. T-Mobile and Sprint will launch their 5G services later this year. 5G data speeds are up to ten times faster than 4G LTE speeds and will eventually help birth new companies and services. For example, 4G LTE networks helped create the ride-sharing industry, which has turned Uber and Lyft into multi-billion dollar companies. With 5G, a movie that takes minutes to download on your phone will load in seconds. Also this afternoon, the FCC announced the largest auction of spectrum in U.S. history. Starting on December 10th, carriers will be allowed to bid on "3,400MHz of Upper 37 GHz, 39GHz, and 47 GHz Bands." The agency said that the auction is "critical to ensuring U.S. leadership in 5G." The last major auction held by the FCC was completed a couple of years ago when T-Mobile purchased 31MHz of low-frequency 600MHz spectrum. FCC chairman Pai said that the agency wants to create a $20.4 billion Rural Digital Opportunity fund. The money would be used to help 4 million homes and businesses employ high-speed broadband in rural America. He also took the opportunity to discuss Huawei. The U.S. has been warning allies that the global leader in networking equipment could be asked to spy for the communist Chinese government at any time. The chairman said, "We believe that the security and reliability of 5G is absolutely important, not just as a matter of national competitiveness, but also as a matter of national security." He pointed out that U.S. allies understand the importance of having a secure 5G network, and "the risk profile of certain equipment and services." The way he's talking, you'd think this is his equivalent of the "space race" during the cold war. Many people actually class 5G as the "space race" of this century. Yes, Yes they do. I;ve seen it refered to as such quiet a lot lately especialy in IT blog's and tech shows on tv. Most people think 5G is just about a jump in speed, it's not. It's more about the amount of connected devices a network can carry without congestion. I personally couldn't give a sh*t about it as i live and work in a rural area and won't see any benefits for a very long time. The 5G tech can be duplicated and used in any country. You can't do this with the ability to go to the Moon and beyond. Considering every country with a large(ish) space program has been to the moon and beyond means that is a bit of a null point. Rocket tech is very old and if you have the money to throw at it then anyone can achieve it, just look at Musk and Bezos. It's quite funny that the US pressures every one not to use Huawei 5G equipment due to spy concerns despite to date, there has not been the slightest piece of evidence. On the contrary, US companies have been proven time and time again to be spying on domestic and foreign citizens and governments for the US government. Using the US logic of spying comcerns, the whole world should avoid US 5G equipment or any US tech equipment at all cost. the illuminati plan to get rid of the population is going great. They want to get rid of us , thats why he wants 5G and 6G because it kills. And its going pretty fast! Most thing Trump says are jokes . Don't take his words seriously. That's not true. Putin like him a lot. Kim Jong Un, too. No one likes Trump because he's taken a s**t on everything that his predecessors have done to improve the world and distorts the truth by claiming it's all fake news. Lots of his plans will be paid for by the US citizens despite promises to improve their financial situations, yet they will all need to pay more to have less because of Trump's policies. The reason 5G equipment from Huawei and other Chinese companies isn't wanted in the US, is because the US can't abuse it to spy on people. American 5G equipment is forced to have accessibility for the CIA, NSA and such. 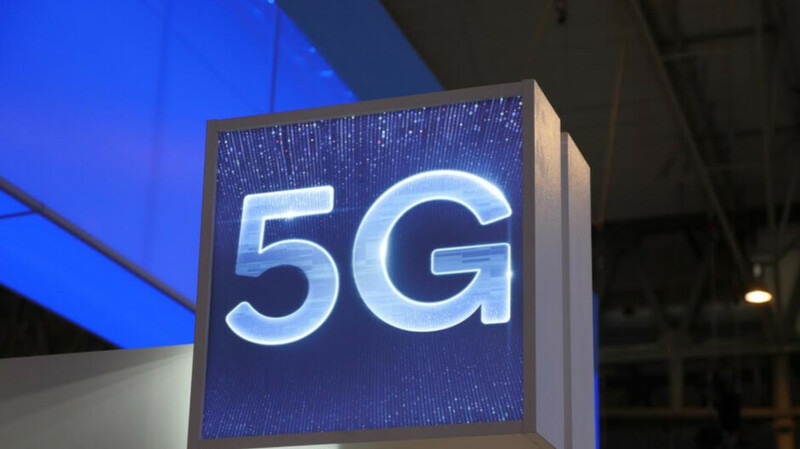 Foreign 5G equipment however isn't and with it previously looking like a lot of the US services providers were considering using Chinese equipment, the US obviously couldn't risk losing access and so they want to ban foreign 5G equipment in mobile networks. European countries however have been using Chinese equipment for years without a single incident, no proof of any wrongdoing by Huawei involving their technology or anything of the sort. And with a US president that seems more chummy with Putin than any of America's long standing allies in Europe, they clearly don't trust Trump worth a damn. I swear his supporters are idiots. He lies more than he breathes, he can't make a competent speech to save his life, and they look at the majority who didn't vote for him as "you guys are just mad he won". True that. Who's dumber, the dummy himself or those who follow him? This is the true reason why the US government is banning hauwei. That's why i said huawei should build a factory in the u.s. Then hire Americans and make everything they wanna sell to u.s.